Been a bit busy the last few days... and here's why! I'd like to introduce to you the very best way to reduce your food miles and go organic! Soon we'll be talking food yards! 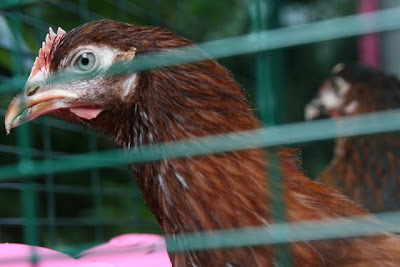 Lily is a Coral, named after the coral coloured egg she will produce! 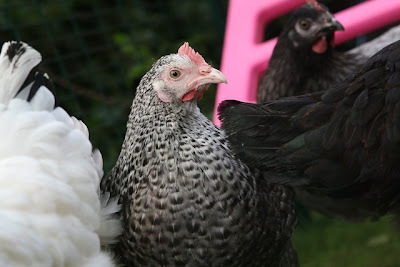 Valerie is a Mendlesham Blue... sounds rather posh and she definately thinks she at the top of the pecking order.... literally! 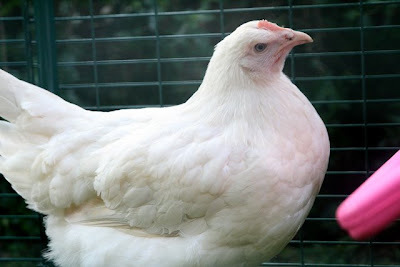 And Sally is a Light Sussex... she's a real show off and enjoys posing for the camera already! And here's where they all live.... it's all plastic so easy peasy to clean!! Loving the 'Good Life' already! 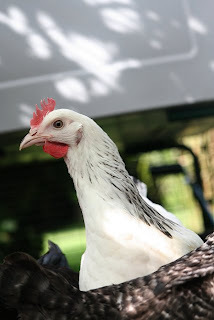 The girls love them already and although quite excited around them at the moment, they are calming down already! 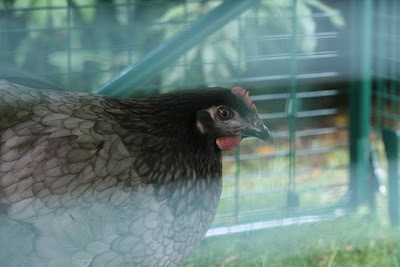 The hens couldn't care less about the dogs, and hopefully a pair of big hairy Newfs should keep Mr Fox at bay too! Oh Katy how exciting , they are gorgeous ! 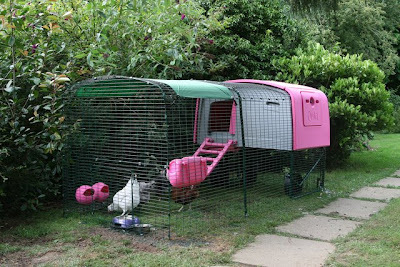 I have so wanted chickens for ages but the old man says the dogs would drive them mad ... he did come and have a peek at the piccies tho and said to say he loves the pink chicken house ... not sure if he meant it about the colour or not but I think its fab ! oh Katy... I could be tempted.. but however, I reckon Paul would absolutely kill me!!! They are so cute! love their pink home! They are certainly living the high life! Be sure to get some strong wire protection that goes into the ground for a bit, as those foxes dig! I love the chickens and the run! I could be very tempted! 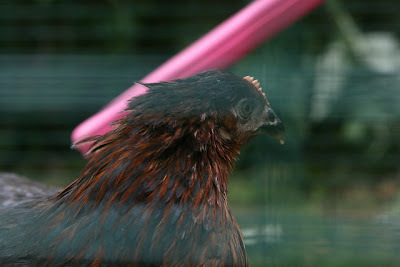 Oh my goodness you have chickens and they have a pink coupe! That is just too funny! !